Have you ever wondered if you were the only person in the world who struggled with a particular challenge? Unique as you are, you’re not alone in this journey. And you’re not alone in what you find difficult, and what you are seeking answers to. So today, I am answering questions from three listeners. I think you will relate to these questions. One is from Mary about sugar. One is from Sudha about drinks and caffeine. And the last is from Paula about alcohol. Each one of these may have its own future podcast episode. In this coaching session, I mention a previous podcast about deprivation. Please check that out, because when you say ‘no’ to yourself, that sneaky brain of yours might try to convince you that you’re deprived. You’re not! And I want you to understand why. 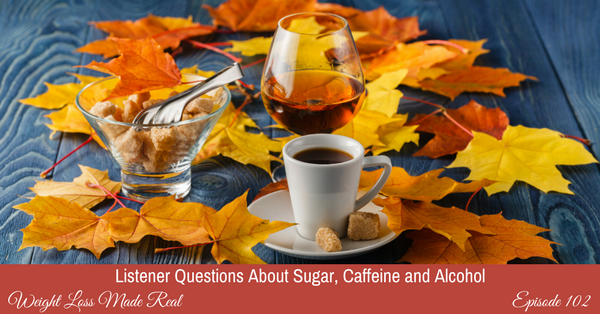 I am approaching the questions about sugar, caffeine and alcohol from a coaching and psychology perspective. Not from the perspective of body chemistry or nutrition. Let me know what you think and if you’ve ever struggled with any of these substances. Do you keep them in your life? If so, in what amounts? What are your guidelines? 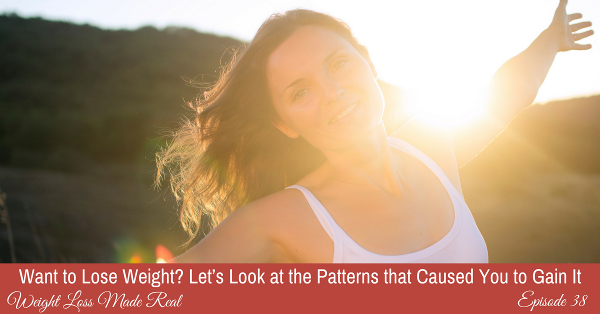 Let’s take a look at the mindset of indulging in sugar, caffeine and alcohol, and how they might affect you. 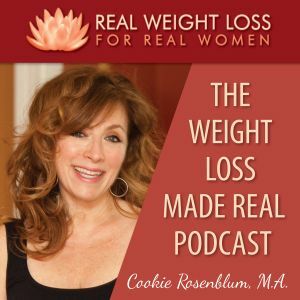 Episode 31: When it Comes to Weight Loss, Must You Always Keep Your Promises? You have a goal. Check! 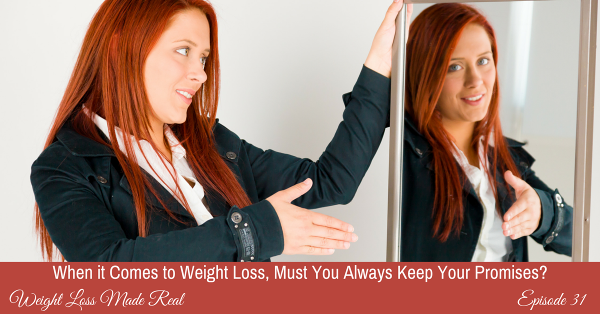 You have a great reason for losing weight. Your big ‘why’. Check! And you create a plan. Check! All systems ready to go. But wait! As you start your project of working on your mind and body, certain situations come up. Situations that cause you to want to change plans and not keep your promises to yourself. What do you do? Do you change plans or keep your word, no matter what? When you make plans, why do things always come up that cause you to second-guess yourself? Do you have a flexible plan? Or stay firm no matter what? What’s the danger of not keeping your promises to yourself? Does it sound like a whole debate team in your head when you try to figure out what to do? Is the road narrow all the time? Or can you widen the road and still be on it? What if you think you’ll never get the opportunity to eat this food again? Ever? 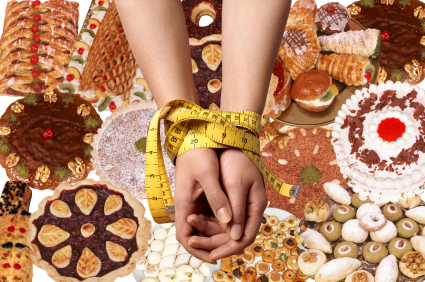 Should you bend your own rules when the desire to eat comes from an emotion? 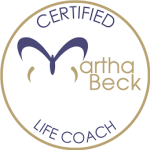 Join me as I coach you on promises. Promises you make to yourself to help you change your eating. When to keep them and when to break them. 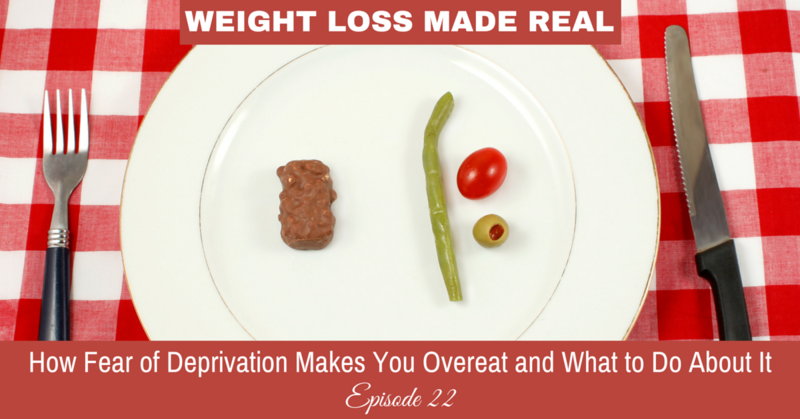 Comments Off on Episode 31: When it Comes to Weight Loss, Must You Always Keep Your Promises? 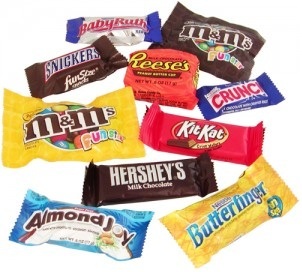 Have you ever thought that if only your office didn’t have so many snacks around, you’d do better on your weight loss plan? Or maybe you’ve thought that the parties and holidays always kill your best intentions to eat well and take care of yourself. 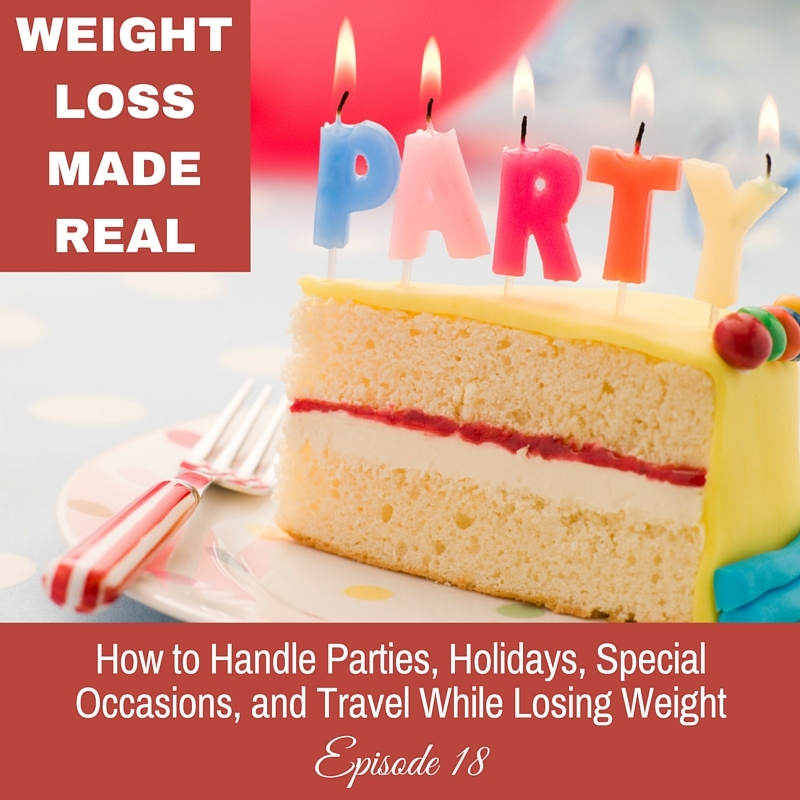 Well, I want to talk to you about all the events, holidays, temptations, office parties and every eating situation that you’ve thought has thrown you off track. It’s not the event that throws you off track, but what you think about the event. How you can be surrounded by the most delicious looking food and not be tempted to eat if you’re not hungry. 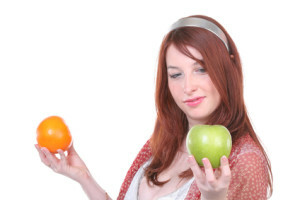 Why I think you should ‘stay in your own pod’ when it comes to eating decisions. How to never feel deprived even when everyone around you is eating. The way you create your ‘poor me’ stories about eating that cause you to give in and eat time and time again, when you’re not even hungry. And, how to deal with any situation that is based around eating, and still take care of your needs without feeling like you are missing out. Imagine going to any event, or vacation, or business trip and not worrying about what kind of food will be there. Listen to this enlightening episode and never be afraid of social situations again. 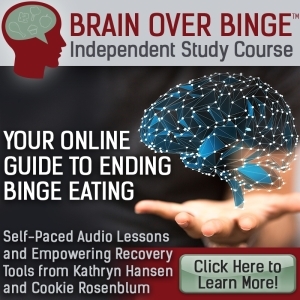 It’s more common than you think to be filled with feelings of overwhelm when you begin an eating program. When you’re working on your body, your mind and your self-care, it may seem like there are so many moving parts to this project that it’s hard to know where to begin. What happens then is the dreaded ‘overwhelm’, which may lead you to giving up, right at the beginning! 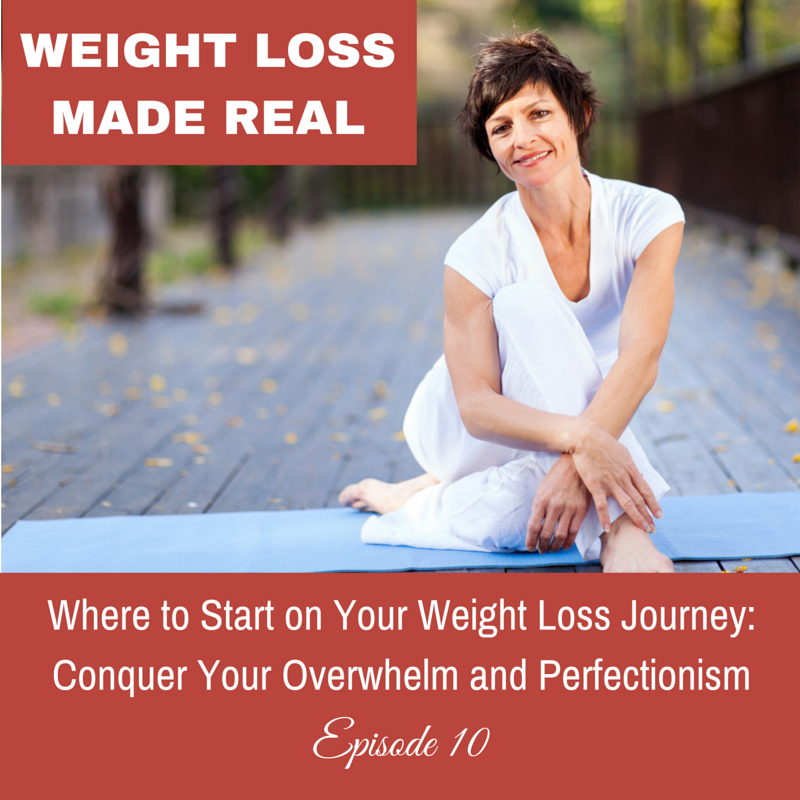 Another common roadblock you may encounter on the way to weight loss is perfectionism. This too can derail you completely, causing you to stop pursuing your goals. Sad, isn’t it? Especially when there’s a solution. What is overwhelm and how do you create it? What does overwhelm lead you to do? How can you play an active role in feeling something much better than ‘overwhelm’? If you’ve always leaned toward perfectionism, are you doomed to keep repeating this habit? How do you want to feel if your goal is to do what’s right, without forcing yourself? 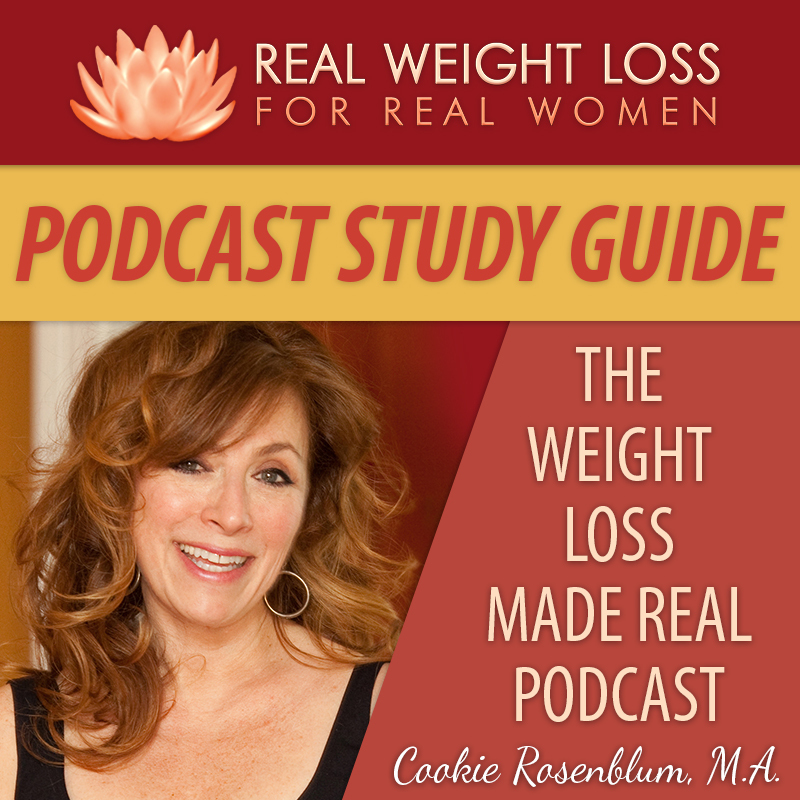 Hear my own story about deprivation and perfectionism: I used to blame my hubby! 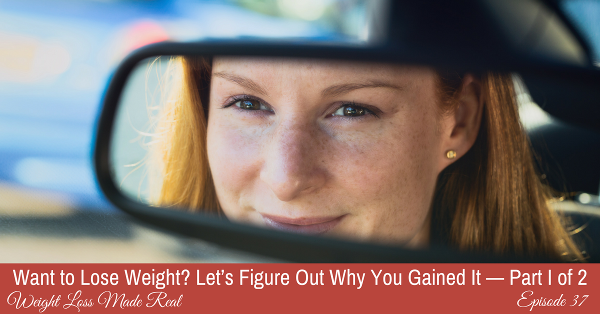 What to put your focus on when starting any weight program. Why taking the tiniest steps is better than making your goals too large.